Many people have the goal of having a self-sufficient home. But the reasons why can vary widely. Some people want to save money. Others want to be “green” and help the plant ecologically. For many people it’s about minimizing their current lives, and the size reduction that a self-sufficient home encourages. 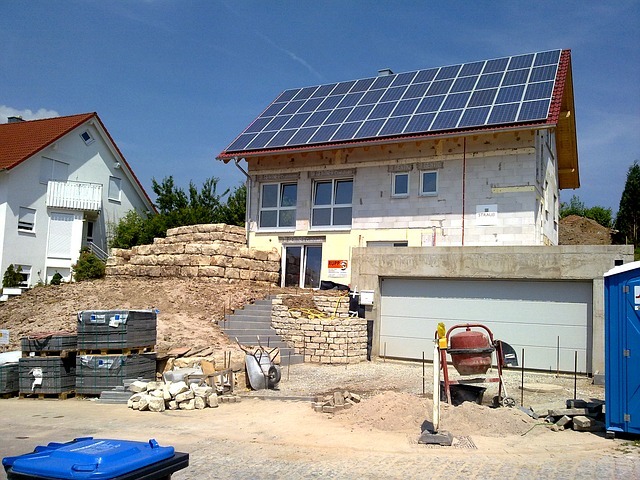 Still others want to be less dependent on outside inputs, or be off-grid. 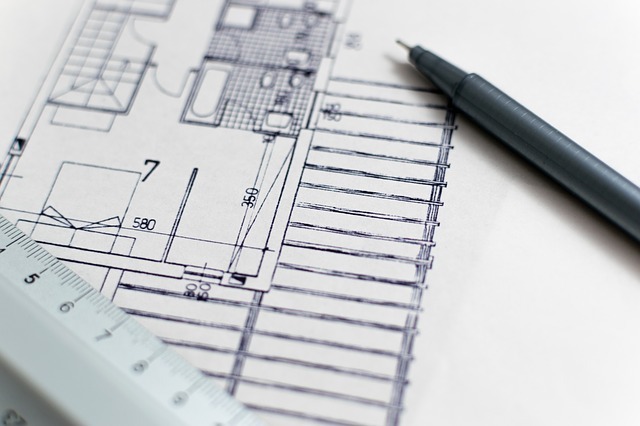 It’s important to keep this in mind as you design and build your self-sufficient home. There will be a thousand junctures where decisions need to be made. In these moments, remember your original goals. Does it really matter that you could save $100 a month if the decision would run contrary to your original goal of being more green? Do you really care about being green if it will keep you from your goal of going completely off grid for another 2 years? Perhaps you have multiple goals. That’s great, prioritize them. Something will ultimately have to win, and it’s better to think it through ahead of time, then allow yourself to decided emotionally in the moment, or be swayed by other people. Another important thing to remember as you begin to think about your goals, and plan your home, is that your actual house is really just one component of your larger self sufficient homestead. In addition to your home, you also have your water systems, your livestock, your trees and other food production, your energy systems, money-making efforts, outbuildings, and potentially a bunch of other pieces. They should all work together to help you accomplish the bigger picture goals that you have. One of the most overlooked concepts in today’s home design is “vernacular architecture.” (if you have a confused look on your face right now, it’s ok). Vernacular architecture is architecture that acknowledges, makes use of, and responds to it’s local environment. If you live where it’s really rainy and there are lots of oak trees, then build an oak house with a steep-pitched roof. If you live in a southwestern desert where there are no trees and it’s 120 in the summer, then build your house out of adobe on the north side of the mountain (or just dig it into the side!). These are simplistic examples, and not everything about vernacular architecture is purely functional, but the principle remains–let the design of your home be an intelligent response to the environment around it, not a defiance of it. Modern-day construction overlords seem to think that the best house is one that is quick and cheap to build, has straight lines, fits nice on the map, and looks like every other house. As long as they can be pumped full of cheap electricity and air conditioning, nothing else matters. Think about it–why would anybody in their right mind expect the same houses to work in Seattle, Phoenix, Vermont and Tallahassee? The demands of these climates could not be more different, and yet we see the exact same brick and stucco houses popping up everywhere. The Western World, with its unending desire to scale everything, has found a way to do this with houses. Obviously, this isn’t a trend that any one of us is going to reverse over night. Hundreds of years of building codes, manufacturers, the permitting process, and home magazines have reinforced this. But you can make better decisions with your house as you begin to design it. 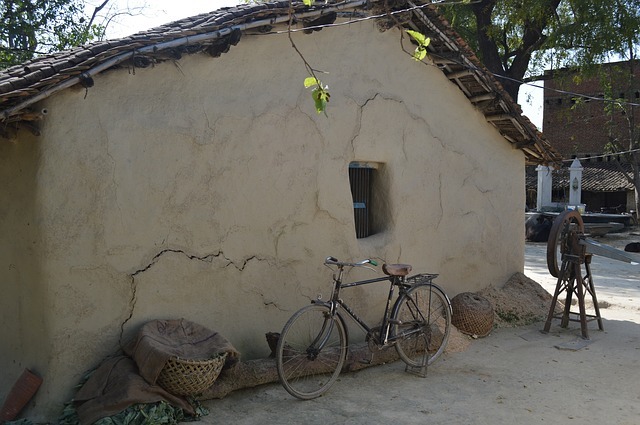 Passive design is another concept related to vernacular architecture. More specifically, it’s usually referred to as passive solar design, and deals with your house’s ability to effectively respond to the temperature demands of your environment. If you’re living in a hot, deserty climate in the Northern Hemisphere, then use passive design elements to minimize the the sun. Don’t put windows on the south side of your house. Perhaps build your house on the shaded north side of a group of trees. Maybe most of your house is subterranean, to take advantage of the ambient thermal mass of the earth around you. Perhaps you include small ventilation windows along the highest angles of your house so that hot air can escape. If you live further north up in Canada, then you would be thinking in the opposite direction–how do I maximize the heat in my house? Now you’re wanting to put windows on the south side of the house (or perhaps it’s so cold you want to limit the number of windows you have at all). If you live in a climate that sees big temperature swings throughout the year, then perhaps you’re angling your house so that the south facing windows are facing the angle of what would be full-value sun exposure during the winter months, and slightly off-kilter during the summer months. Maybe you’re planting a large stand of deciduous trees on the south side of your house, that will give lots of shade during the summer, but be bare for the sun to penetrate in the winter. No matter what your context is, there are always thoughtful, intelligent ways that you can take advantage of the design of your home to work with the environment for your greater comfort. As you are putting together your modern homestead, your home needs to make use of both vernacular architecture and passive solar design, to prioritize function over form. That’s not to say that your house shouldn’t be beautiful–it should. But the goal is for it to help you be self-sufficient, not win dream home awards or magazine spreads. I first found out about insulated concrete forms in 2012, and have been a big proponent ever since. The easiest way to explain what they are is to say that they are walls created like a concrete sandwich. Six to twelve inches of concrete is flanked on either side by a layer of foam insulation, so their is foam on the inside of the wall, and outside. The foam that’s on the exterior can be clad with shingles, stucco, brick, or any other material or finish to make your house look any way you want. Insulated concrete forms offer a home that has greater security, and easier potential to go off-grid. 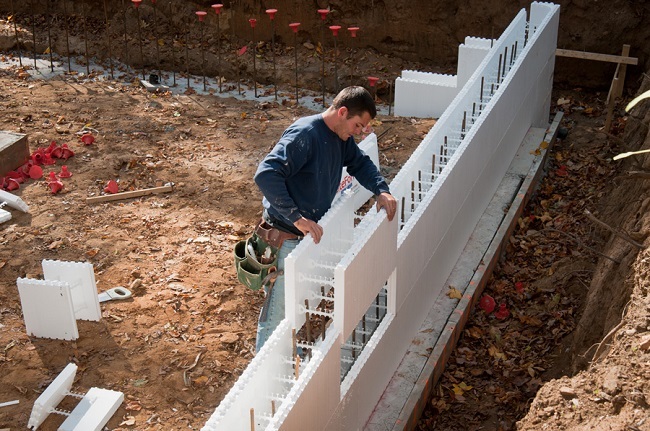 The advantages of having an icf house are enormous for a self sufficient homesteader. First and foremost, insulated concrete forms regulate the temperature of your home incredibly well. This translates to a huge cost savings, but it also translates to a much lower energy requirement, which makes it a lot more possible to go off-grid. Insulated concrete form houses are also structurally solid. Think about it–you are living in a house of rebar-reinforced concrete. This means that it can stand up to hurricanes, tornadoes, and fires much better than a conventional “stick home” can. The downside of insulated concrete forms is cost. They cost more on the initial build than a conventionally built house, and a lot more than other “alternative building” types. Supporters of ICF will tell you however, that the additional costs of the initial construction are rapidly offset, once the decreased cost of operation kicks in (because of heating/cooling savings). If insulated concrete forms are a “concrete sandwich”, than structural insulated panels are an “insulation sandwich.” In this building system, an insulated core is surfaced on both the interior and exterior with OSB (oriented strand board). Structural insulated panels have some similarities and some differences when compared with insulated concrete forms. The biggest comparative drawback of SIPs is that because they aren’t made of concrete, they don’t offer the same disaster resistance that ICF homes do. They will be ever bit as hammered by hurricanes or wildfires. On the flip side however, because concrete is expensive, SIPs offer a significant cost savings over ICF houses. Most studies have concluded that SIPs actually have a higher R-value than insulated concrete, and are a better thermal option in cold climates than ICF is. Timber framed houses (also sometimes referred to as “post and beam” houses) offer benefits on the sustainability end of the spectrum. 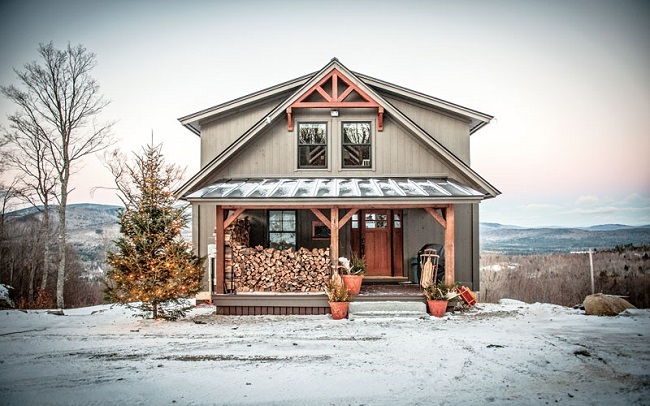 Because structures in timber-framed construction are essentially built with giant logs, homesteaders looking to build with timber framed construction can source locally, and minimize transportation. If you source logs from your own property, than the expense side can potentially be significant over a conventional house as well. In recent years, tiny houses have gained a lot of acclaim. For some reason, there’s just something that calls to us all about living smaller and lighter. A large majority of tiny homes are built on a trailer frame as well, so they offer the benefit of mobility as well. Don’t like your view this week? Simply hitch up your trailer and drive a few miles down the road. 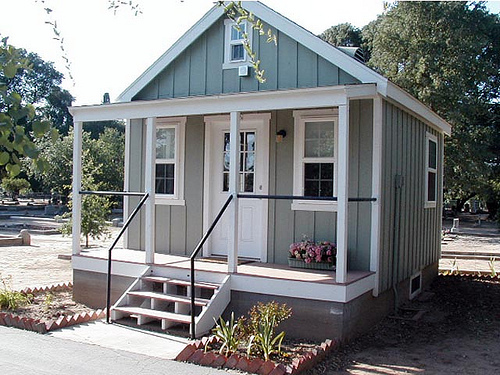 Because of their small size, tiny homes can offer significant cost savings. It’s easy–if your house is only 140 square feet, it’s going to be less expensive than a house that is 3000 square feet. 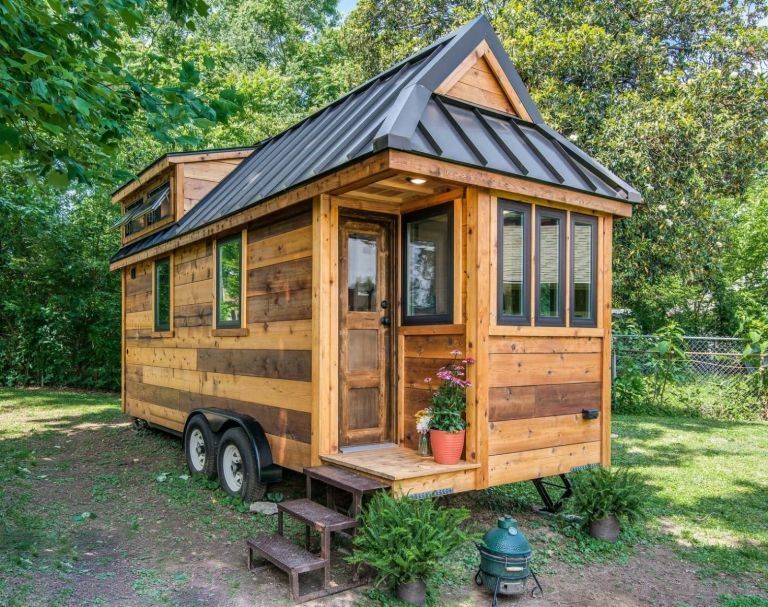 The small size of tiny homes makes them a lot less expensive to operate as well. Heating, cooling, and electrical demands are much less when you live in a shoebox! One drawback of not having a lot of space is, well…. not having a lot of space. 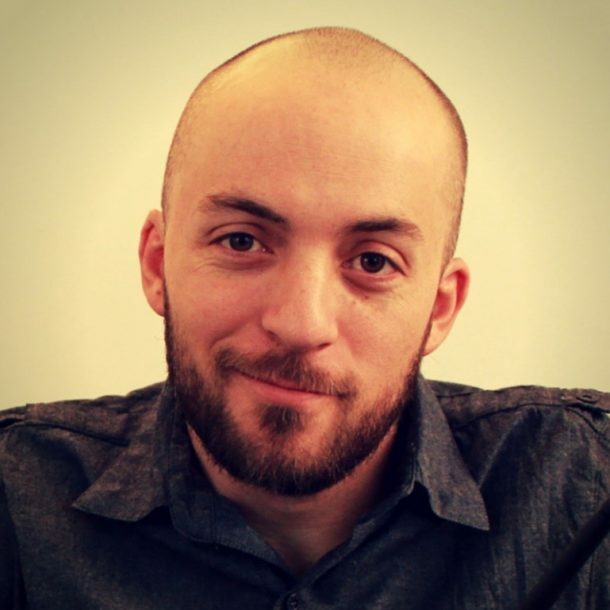 Many people are introduced to the concept of living tiny through HGTV shows, and have an over-romanticized and unrealistic view of what living in a tiny home is actually like (the same thing could be said of people that think they want to live off grid). The truth is, most people in Western society have a lot of stuff. When you have a lot of stuff, you need a lot of space. In general, homesteading lends itself to less consumerism (i.e. stuff), but also encourages things like food storage, which take up space. While you may ultimately decide that living in a itty bitty little cabin on a trailer frame is unrealistic for you, your kids, and your critters, the idea of living smaller is a giant step in the right direction. Think critically about the space that you actually need, and how that space needs to be divided up. Chances are, you’ll end up with something that’s a lot smaller than most of the “American dream” homes being built today. Well, while it turns out that while straw bale housing is not the most fortress-esque building technology, it has some cool stuff going for it. 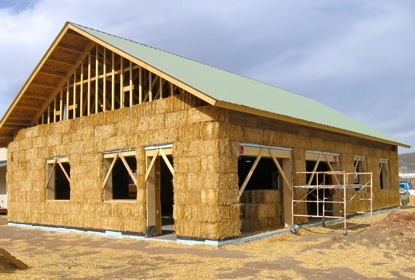 Straw bale construction has great insulating properties. It is also very inexpensive and extremely sustainable (think about it–how long does it take for grass to regrow?). Straw can be sourced almost anywhere, so it is readily available as well. On the negative side, straw is susceptible to rot in damp conditions. 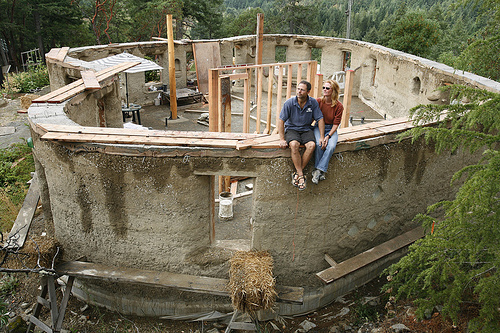 Similar to SIP construction, homesteaders building with straw bales use the compacted bales as the central core of their wall, and then cover the outsides with a form of plaster, stucco, clay, or cob. Whenever you’re having conversations about self sufficient home types, cob is invariably one building material that is always brought up. This is because it’s a natural building material, so it scores a lot of points on the cost and sustainability spectrums. Technically speaking, cob is a form of “unburned clay masonry”, and is essentially a mixture of clay soil, water, and straw or grass. It can be mixed and applied entirely by hand, and has the advantage of being fireproof. This type of construction has been around for millennia. Cob houses have been found extensively throughout the British Isles, the northern coast of France, Africa, the Middle East, New Zealand, and the eastern United States. Cob is not known to be a good insulator. It also has an antiquated and somewhat “sloppy” aesthetic to many people, although in the same breath, there are cob enthusiasts that will tell you they love the way it looks. 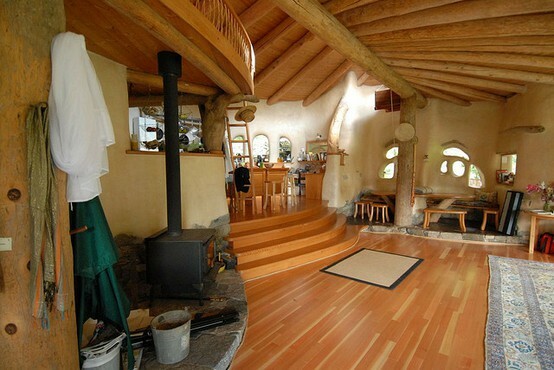 The interiors of cob homes can be finished out any way you choose, and many are quite stunning. Shipping container housing has grown in popularity over the last couple decades. 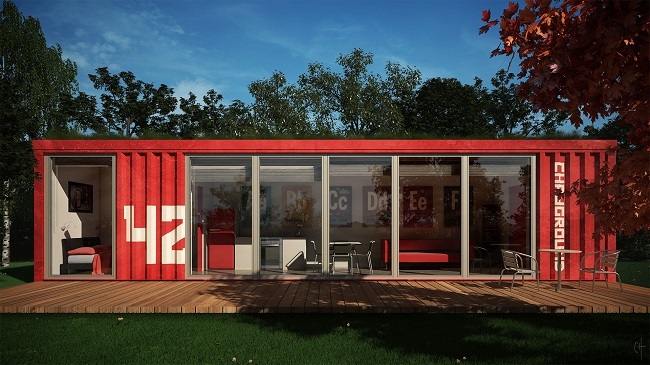 If you’re not familiar with it, it’s exactly what it sounds like–metal ISBU shipping containers that are repurposed into housing. The benefit of them is that they are extremely cheap, although once you begin retrofitting them, the cost can add up in a hurry. They are also extremely durable. Think about it–they were created to withstand the abuse of cranes loading and unloading them onto giant freighters so that they could make transoceanic voyages! The biggest downside of shipping containers is that they have zero insulation. If it is freezing outside, it’s freezing inside. If it’s hot outside, then your ISBU turns into an oven. Still, they can be insulated with spray foam, or other types of insulation to make them quite liveable. How about converting a storage shed into a liveable space. Sharing the same principle of tiny homes, the advantage of these is that many of them are already built. They can be purchased at a hardware store for under $10,000 (the cheapest ones start at less than $2,000). With some creativity and some decorating, these could be made quite nice. Add insulation and perhaps a small woodstove, these can be made very cozy. For a little more money, they can be outfitted with a small solar power system to power a few household devices. The disadvantages here are the small space, and the fact that your pride may suffer some kind of blow because you’re in fact, living in a shed (although, if you’re that kind of person, I’d be surprised that you’re actually on this website!). There’s also a pretty good bet that any sheds you find at a big box store are not “green” or built with any real thought of eco-sustainability in mind. If you like this concept, but aren’t quite sure you could go all the way down to the size of a tool shed, you may want to check out some of the kit cabin options being offered today. If you’re willing to take a step up in the cost department, you can purchase a fairly nice cabin kit for $20,000 – $60,000. These kits are shipped to your building location on a truck, and can oftentimes be assembled with just a couple people in a month or less. Worth a look! Your home is only as good as the systems that you set up for it. Depending on what your goals are, you will likely have different things that you want to incorporate. You may be wanting to go completely off-grid, of you might just be looking to save a little money. Keeping that in mind however, here is a cross section of home systems for you to be thinking about. You are the homesteader. You be the judge of which ones make sense in your situation, and which ones don’t. Your home’s energy system(s) make up a large part of your overall equation. Alternative energy sources can help you be less dependent on the fragile energy grid, save money, and be more ecologically responsible. They also require upfront costs, and can be complicated to set up. Solar – Solar power systems are getting more cost-effective all the time. Fueled by consumer demand and a host of government incentives, the break even “repayment” time on solar is getting shorter and shorter. Solar is best suited in areas that get a lot of sun, but even if not ideal, it is still viable in many parts of the world these days. Geothermal – Geothermal energy makes use of the temperature difference in your home’s ambient air, and the temperature of the earth a couple feet below the surface. Though it’s less talked about among the mainstream crowd, it provides an incredibly effective means of heating and cooling your home. Wind – As solar energy gets less and less expensive, wind energy is becoming less attractive. But there was a time when the costs of wind energy had some advantage over solar. Wind energy uses the wind to turn a strategically placed turbine to create electricity. It comes with a fair amount of complication and hassle, difficult installation, and higher maintenance. Even so, there are still a handful of homesteads that are situated ideally to take advantage of wind energy. Micro Hydro – Similar to wind energy, micro hydro power is very site specific–if you don’t have running water on your property, you’re out of luck. Also similar to wind energy, micro hydro generators create electricity by using the flow of running water to turn a turbine. Micro hydro can be installed with very little impact to the environment, and if the site where you will actually be using the electricity is close enough, micro hydro power can also make a lot of financial sense. Wood Gasification – Perhaps least familiar to the greatest amount of people, wood gasification converts the gas released from super heated wood into combustible fuel, similar to propane or natural gas. This fuel can then be used to power a tri-fuel generator and subsequently deliver electricity. Because this process is dependent on wood and other biomass, this is a technology that’s well suited to wet, wooded areas. Water plays a critical role on your homestead. An no more is this true than for your actual home itself. Off-Grid Water For Your House – Depending on your site, it may be possible to draw the culinary water that you need from the homestead water sources around you. In particular, if you have reliable well water that can be pumped and stored, than your chances are good. Even people that have access to municipal water frequently choose to use well water for outdoor irrigation and flushing their toilets. Additionally, if you install a filter to route this water through, than you can even use it for drinking and washing. Grid independence baby. 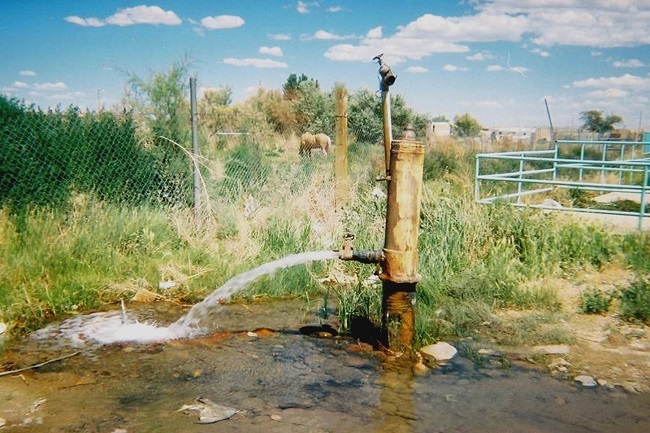 One of the best setups to power your house on well water is to drill your well on the lowest spot on your property, and then pump it to be stored at the highest spot on your property. Drilling at the lowest spot usually means that you will hit water sooner, and yield you the most water for the given depth you drill (i.e. drilling 100′ here will give you more feet of water than drilling 100′ down at the highest point on your property). And storing your water high, means that you can then use gravity to bring it back down in elevation later to supply your home, plants and animals. Grey Water Systems – What about grey water recycling? Many people have heard the term before, but if you’re not familiar with it, the simplest way to describe it is reusing the water from showers, laundry, and potentially washing dishes. Although this water has been used once, it can be recycled and used again in irrigation. Simple grey water systems harvest the water coming down these drains, and store it in an irrigation reservoir. Then it can either be automatically routed to drip lines or sprinklers, or you can keep it even simpler, and manually open a valve by hand to use this water. Rainwater Harvesting – Water catchments are a great way to maximize the resources that you have access to on your site. With a simple modification to your rain gutters and downspouts, you can store every drop of liquid goodness that falls on your roof. This water isn’t potable right off the bat, but can be filtered to supply your home’s needs. What’s the best way to get rid of sewage in your self sustaining home? Well, there are a few different options. City Sewer – Some people have the option, and choose to be connected with the municipal sewer system. No disrespect in that at all. Septic Systems – Others live outside the city limits, but have the option (and disposition) to establish an off grid septic system with an underground leech field. These require permitting and engineering, but in general are not difficult to get setup. 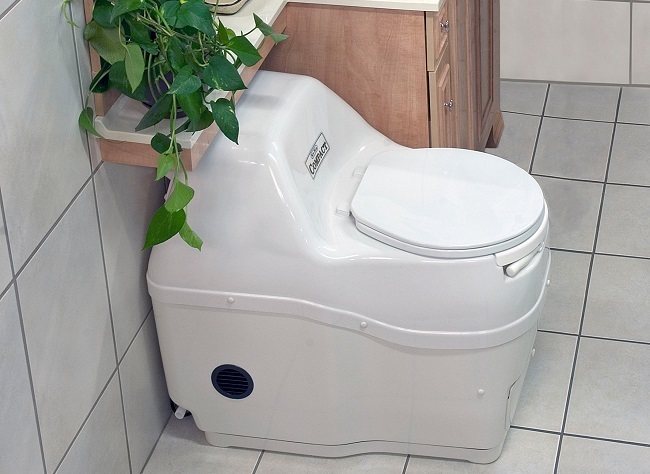 Composting toilets – Still other people choose to go even more low-tech, and simply use composting toilets. While people that are unfamiliar with this idea have a hard time believing it, more and more people are beginning to compost their own waste, and surprisingly, most people get quite used to it. Basically, this means putting a 5-gallon bucket under a toilet seat. After you do your business, you cover it in a layer of wood shavings (to keep the smell at a minimum). When the bucket is full, empty it on the compost pile. This compost is generally ready to be used on food plants in a year. Supplying your self sufficient home with heat is another important detail to think through carefully. As was mentioned above, so much to do with the temperature of your home can be affected by the passive solar design elements. So it’s important to be sensitive to the orientation and aspect of your home in relation to the sun at peak hot and cold times of the year. It’s also important to be smart about the materials that you use in your home. Many homeowners and builders will opt for cheaper materials to save on upfront costs, but pay dearly over the life of their home in maintenance and operating costs. If we’re talking about heat, one area in particular that’s important not to scrimp on is your windows. Cheap windows are a big heat exchanger. Wood Stove – A wood stove is one of the simplest, most low tech, effective ways of heating a home. If harvested appropriately, wood is a renewable resource. It burns hot, and is extremely safe to store (as opposed to many other fuels). One of the most important aspects of a wood stove however, is location. If you have a properly-sized and centrally-located stove, it is possible to heat your whole house with a wood stove. For this reason, if you are designing and building your own self sufficient home from the ground up, consider this early (particularly if you live in a cold climate). If you have more than one story, the ideal is to locate your stove on the lowest floor, with open air access up to the other floors. This allows the hot air to rise and more easily disperse the heat throughout the house. 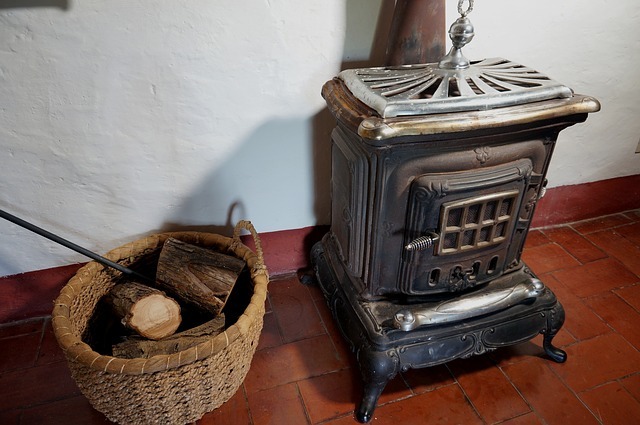 A wood stove is an excellent way to heat your grid-independent home. Keep in mind, that even the most ideally-located wood stove will result in some areas of your house being warmer than others. Right next to your stove will likely be uncomfortably hot, and out towards the edges of the room might not even feel like any heat is on (until you leave the room and then come back in!). Geothermal Heat Pump – As described above, a geothermal heat pump exchanges air in your house with either warmer or cooler underground air. It is extremely efficient, and a smart system to consider. No matter what your location, almost everybody stands to gain some upside from this exchange. Radiant Floor Heating – Anybody that’s ever jumped out of bed with bare feet in the winter time knows how icy the floor can be. The chill of the cold ground comes up and spreads from your floor upwards. Radiant heat is installed underneath your floor. Small hot water tubes or electric wires are laid out in a pattern to cover the floor evenly. As these tubes or wires begin to heat up, they send out thermal waves which rise upwards, and keep the chill of the ground from sucking heat out of your home. Rocket Mass Heater – A rocket mass heater is a highly efficient style of wood stove that soaks up, and then slow releases heat over long periods of time. It is powered by a J-shaped burning chamber, and an efficient air flow design, that can seriously amplify the heat quotient in your house. Because of it’s efficient design, it’s possible for a rocket mass heater to be powered by burning very small sticks and bits of biomass. There are also significant advantages in the cleanness of the burn. There are a few models that are commercially produced, and there are also several people that design and build their own DIY rocket mass heaters.